Large items, including furniture, vehicles and non-perishables, can be shipped via a barge serviced by Avalon Freight Services. Items that need transported should be dropped off in San Pedro. 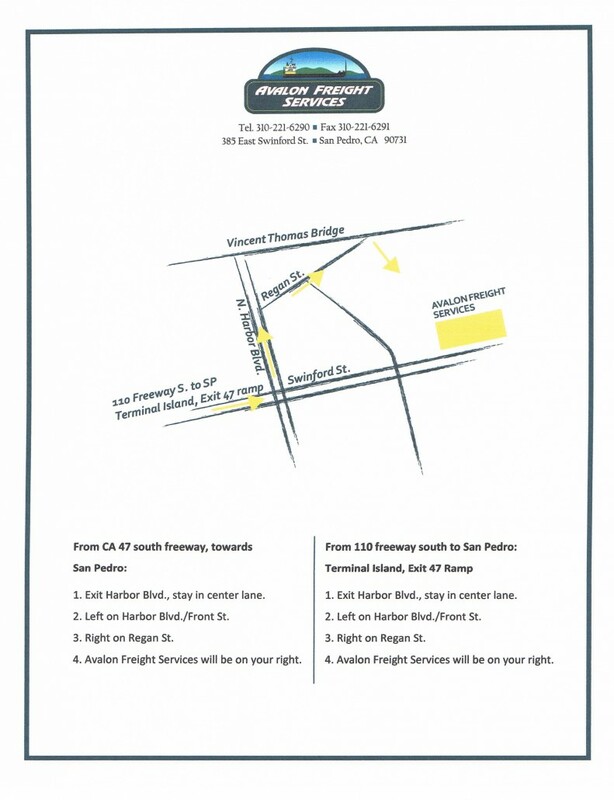 Avalon Freight services will operate at the San Pedro/Port of Los Angeles Warehouse from 7:30 a.m. to 4:00 p.m. Monday through Friday and 10:00 a.m. to 2:00 p.m. Saturdays. The Pebbly Beach Warehouse will operate from 8:00 a.m. to 4:00 p.m. Monday through Friday and 8:00 a.m. to 12:00 p.m. Saturday. For more information please call Avalon Freight Services at 310-221-6290, or contact@avalonfreightservices.com.